Rivaling the city of Florence in the Tuscan region is Siena, which has its own fair share of historical attractions that date back to the 11th century. With its old town center declared as a UNESCO World Heritage Site, it is a must-visit for culture buffs from around the world. Siena is home to some of the finest examples of Gothic architecture, an interesting contrast to the wealth of Renaissance works in Florence. 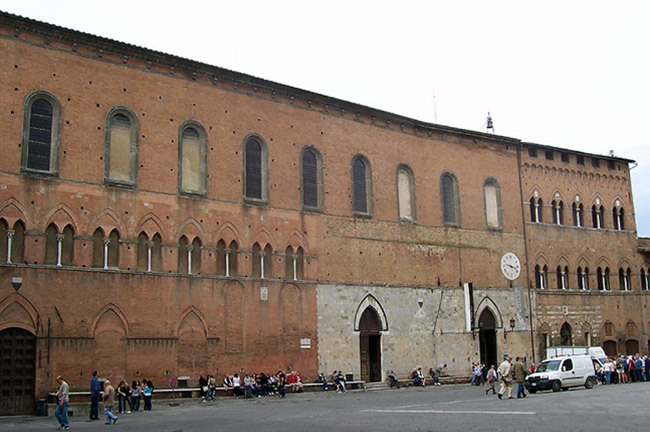 Yet the town still retains a youthful vibe, as the still-operating University of Siena attracts students who wish to study medicine and law. Of course, a trip shouldn’t just end in the city itself. Siena is also a great base to explore neighboring towns, several of which are known worldwide for making wine. 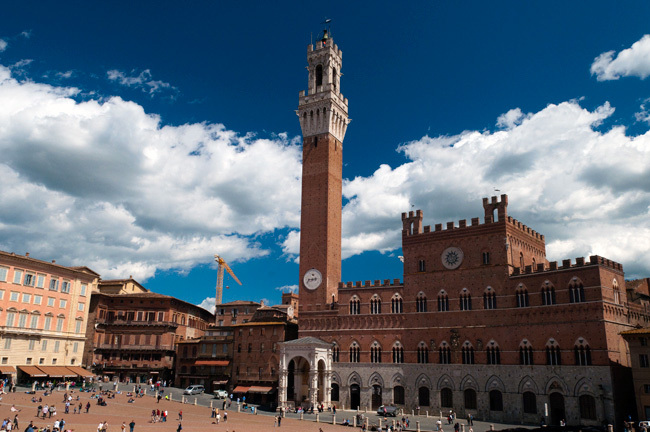 If you are in Siena, you should not miss visiting its historic center—the Piazza del Campo. Other than the Torre del Mangia (Mangia Tower) and Palazzo Comunale at its heart, this sprawling plaza is also a popular spot for events and picnics. 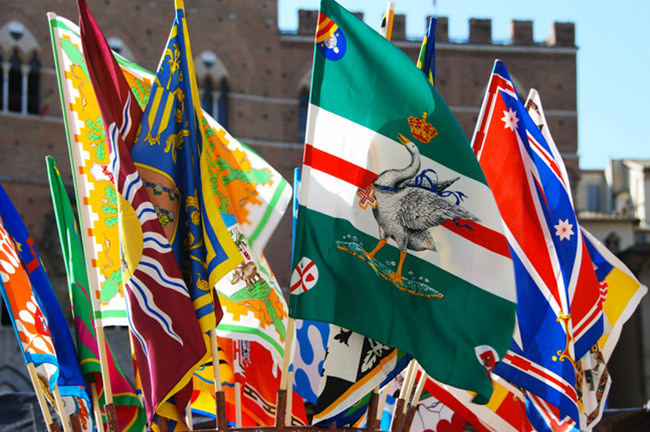 The authentic Siena experience won’t be complete without watching the Palio di Siena, one of the oldest horse races in the world. Held in July to August, this series of horse races is preceded by the magnificent Corteo Storico parade and a host of other festivities. Located inside the Duomo (Cathedral) of Siena, this stunning library was established by Francesco Todeschini Piccolomini, who later became Pope Pius III. With walls decorated with frescoes from floor to ceiling, and housing a collection of rare tomes, this library should not be missed. Locals call this centuries-old structure as the Ospedale (Hospital), as it was considered one of Europe’s first and oldest hospitals. 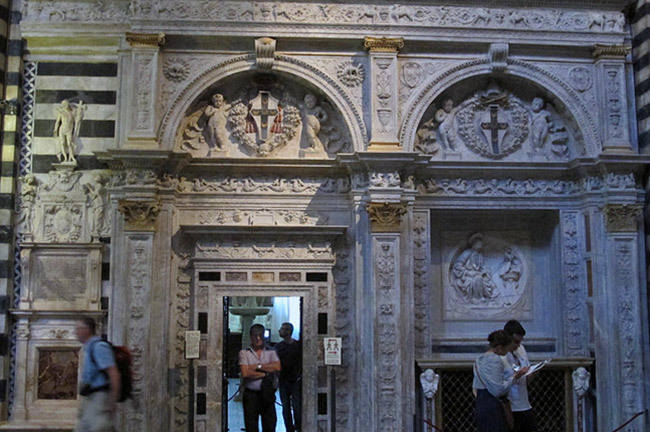 But unlike the medical centers of today, the interiors of Santa Maria Della Scala were full of artwork, many of which are visible until now. While restoration work is still ongoing, portions of the building are now open to the public as museums. Nicknamed “The Town of Fine Towers,” this quaint medieval town on a hill is a declared UNESCO World Heritage Site. 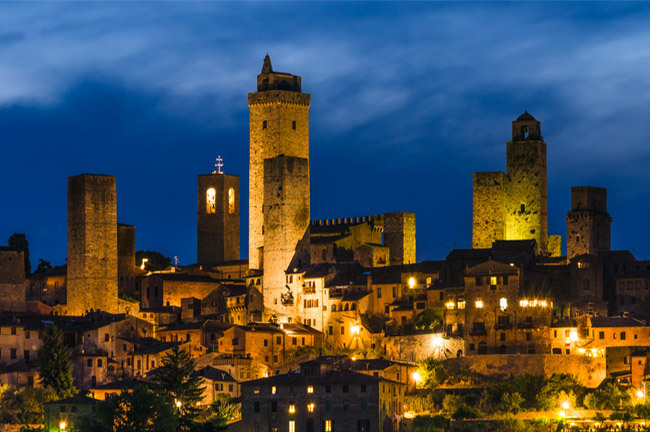 But its numerous towers are not the only things to see here—tasting their heirloom wine, the Vernaccia di San Gimignano, is also a must. 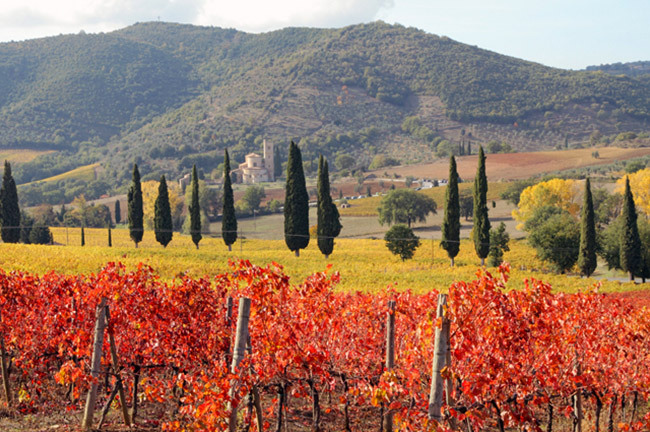 If you’re looking for wine in Siena, there’s only one place to go: Montalcino. This charming hilltop town produces some of the best wine in the world. Hence, a vineyard tour of this area is a must. 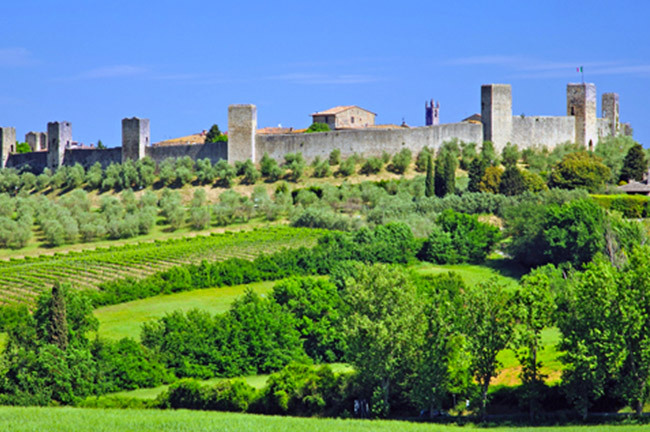 Learn what a medieval town really looks like with a trip to Monteriggioni, which sits on top of a hill between Siena and Florence. This town dates back to the 1200s and was even mentioned by Dante Alighieri in his masterpiece, The Divine Comedy. Today, it is now a peaceful settlement with magnificent views of the surrounding greenery.